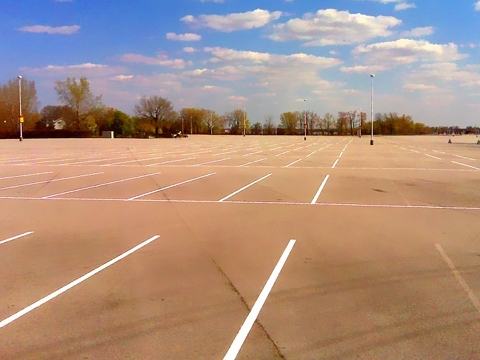 We handle only large parking lot striping (such as malls, amusement parks and multiple floor garages). Zimmerman Paint is the most experienced parking lot striping businesses in Ohio and we have never encountered a pattern that is too big or too complicated! Our customer service is second to no other parking lot striping company. We pride ourselves in having the most efficient parking lot striping crew anywhere. Whether your job is new construction or maintenance on an existing lot, we promise efficient and timely service to insure your business can be carried on with the least amount of disruption possible. 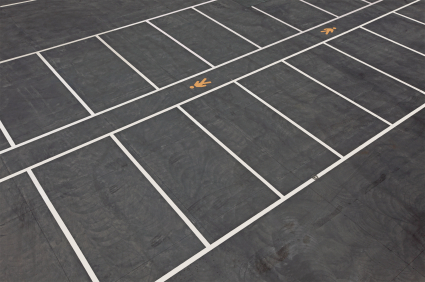 Before we paint the first line, we will assess the property and make sure our customers completely understand the effects different parking lot striping patterns can have on the traffic flow and safety of vehicular and pedestrian traffic on the property. We can also explain any regulations that must be adhered to or assist you with city planners, if necessary, for each specific parking lot striping job. Offering suggestions for how to best utilize the space and how to make your parking patterns most convenient for your customers is part of our service too. The Americans Disabilities Act (ADA) was enacted in 1990 to make public places more accessible to those with disabilities. Not only do you have to have the proper number of handicap spaces in your parking lot, but they have to be positioned in a specific manner and painted with clear markings. 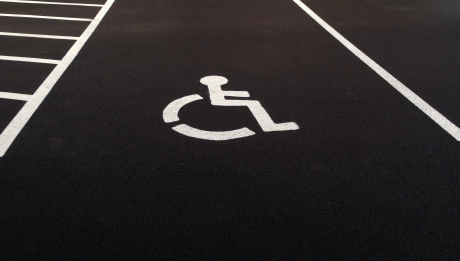 The expert staff at Zimmerman Paint is armed with all the up to date regulatory codes in keeping compliance with the ADA and knows how to optimize your parking lot striping in accordance with it.